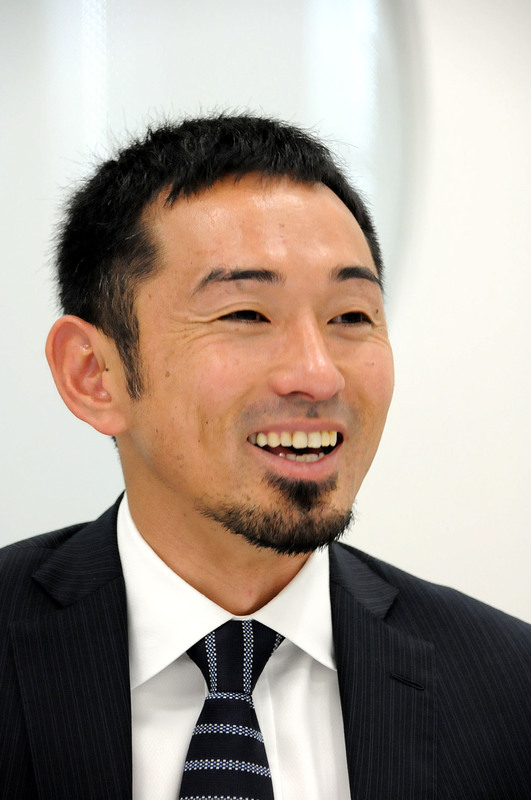 When Dai Tamesue arrived for our recent interview in Tokyo smartly dressed in a dark business suit and toting a brown leather briefcase, the only thing setting him slightly apart from most other Japanese business types was his well-trimmed goatee, which gave him more the air of a college professor. That’s in part because of his famously grueling training regime and his resume that includes him being a bronze medalist in the 2001 and 2005 World Championships, a three-time (though unmedaled) Olympian and the current Japan record-holder in the 400-meter hurdles — with a time of 47.89 seconds he set way back in 2001. More than that, however, what earned this track warrior his nickname was his improbably breakneck speed off the blocks — unlike most other hurdlers, who save their fastest for last — and then the way he’d clear one flight after another with the smooth composure of a champion racehorse. 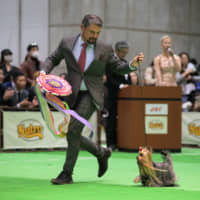 As hell-for-leather as his start style might have seemed, though, I was soon to learn it was actually very well thought out and was based on his research into the unique challenges posed by his event as well as on his own strengths and weaknesses. Consequently, over a more than 10-year career that ended last season, this relatively short, 170-cm-tall athlete showed the world how carefully refined techniques and strategies made it possible to overcome inherited disadvantages and compete in the top rank of world-class hurdlers. In addition, though Tamesue may have hung up his spikes, he has plenty of insights to share on how sports can play a bigger role in society, not just by producing athletes to be cheered and revered but also in terms of what those competitors can give back after retirement. In fact, he says it’s nothing less than his “mission” to change the dismal prospects currently facing post-retirement athletes in Japan. However, to challenge a situation that sees many plunge into a hopeless panic when their days in the limelight are done, Tamesue knows he must target the mind-sets of coaches and others around them who often discourage athletes from planning their subsequent lifestyles or pursuing dual careers. No such problems appear to have beset Tamesue’s post-track life. Instead, this Hiroshima native who lives with his wife in Tokyo is immersed in exciting undertakings. Besides having just published two books — one on running tips for children, the other a motivational guide for adults — in April he began hosting two television shows, in which he combines news commentary and interviews he conducts with the coaches of famous athletes for tips on how to win. Tamesue recently took time out of his busy schedule to sit down with The Japan Times for a chat. And we covered a lot of ground fast — from the source of his endless drive, through his struggles as an athlete and his philosophy on happiness, to the role he sees for sports in health care, education and even diplomacy. Let me start by asking you about your early days. Were you always a fast runner? Were your parents also athletic? Not really. I was the only one in my family who made it as an athlete. I have two sisters, one older and one younger. I wonder about that. For instance, I think I was pretty quiet — but neighbors say I was naughty. 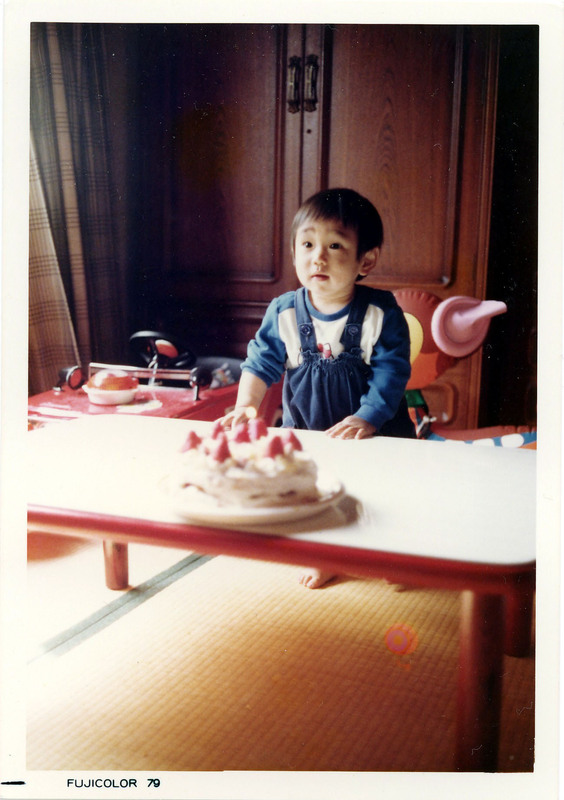 And my mother remembers me as a nervous boy — though once I just decided to cycle to the neighboring prefecture of Yamaguchi [40 km or more from his home in the city of Hiroshima]. How old were you when you took off like that? I think I was a second-grader then. Another time when I was riding my bike I fell about 10 meters off a pedestrian bridge and broke some bones. But (instead of just worrying about myself) I would also watch other people’s expressions and be concerned about their feelings. You sound as if you were quite active. I’ve read your analysis of why you could run very fast as a child, and am I right in thinking you say it had to do with your long limbs and pelvis structure? Well, to be more precise, I think it can be explained by the law of conservation of angular momentum in physics. (Laughs.) To put it simply, when figure skaters spin, they start spinning slowly, holding their arms out. When they bring their arms close to their body they suddenly start spinning fast. In both phases (slow and fast), though, the amount of energy is the same, but the smaller the radial distance is to the axis, the more rotational energy is conserved and the faster the spinning becomes. In a runner’s case, this means that, if you have broad shoulders, you can create a greater rotational movement by just moving them a little. Add to that the size of the pelvis. The smaller your pelvis, the more energy you can create. All the greatest sprinters — including Usain Bolt and Carl Lewis — have broad shoulders and a small pelvis. And do you have a similar physique to them? Yes. I was blessed with a bone structure for sprinting — though there are other factors, such as muscles and tendons. I see. 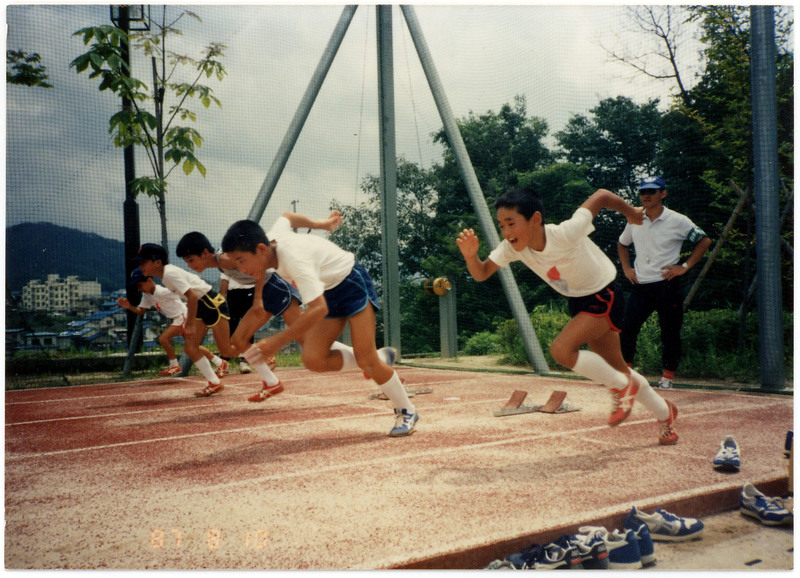 So when you were young, were your dreams for the future influenced by your running ability? Well, I belonged to the book-reading club at my elementary school and my dream was actually to become a newspaper journalist or a track-and-field athlete. But as time went on, my running got better so I thought I would focus on that. Was it soon afterward that, as I’ve read, you saw Carl Lewis on television and became enchanted? I think that was when I was in fourth grade. In the lead-up to the 1988 Seoul Olympics I saw video recordings of Lewis racing in the previous Olympics in Los Angeles in 1984. I was wowed. Hiroshima is a baseball city and all the sports stars were baseball players. I couldn’t find any other kinds of stars back then. In Hiroshima there is a baseball stadium (for the Hiroshima Carp) where you can watch the stars many nights during the season. But when you are a track-and-field athlete, the once-a-year Japan National Championships is the country’s top competition, yet you only see 1,000 or 2,000 spectators there. So I used to think track and field was boring. That’s when I saw Lewis on TV and realized that, once you get to the Olympic level, it’s a completely different world. I remember feeling inspired. You did very well as a sprinter in your junior high school days. I was doing whatever my teacher told me to do which, in hindsight, I think had a lot to do with my physical growth. 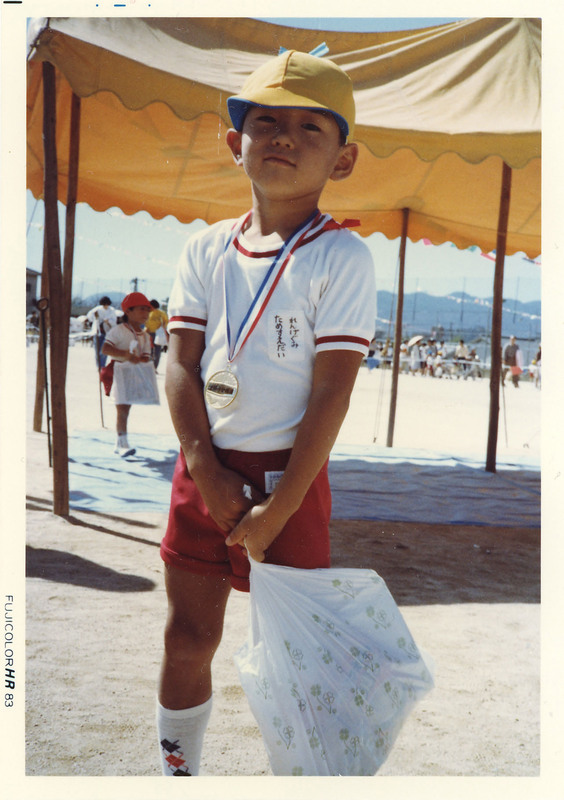 I grew rapidly in height and strength through the last year of my junior high school, and I won the national championships for junior high-schoolers and set records for my age group. Yet when you moved to senior high school, I understand you struggled there in athletics. Yes. I think I just grew faster than others. I got taller first and then gained muscles, but my physical growth stopped at the end of junior high school or in the first or second grade of senior high school. My height and weight haven’t changed much from back then. That meant the only way left for me to become a faster runner was to improve my running skills. But if you are a sprinter, your physical attributes play a bigger role in determining your potential than is the case with other track-and-field athletes. So, as other students grew bigger, they caught up with me in sprinting. That must have been tough for you, especially as you were an adolescent by then. Very much so. Looking back, I think those high-school years were psychologically the toughest time for me in my entire athletic career. If you don’t get results during the three years in senior high school, you won’t be able to continue as a track-and field athlete in college. I mean you can continue, but only as a hobby. So I was irritable and restless. Nonetheless, you did get offers from several universities to join their athletics teams, including the one you accepted from Hosei University in Tokyo. In my third year of senior high school, I got results. [He set a new national 400-meters record for junior athletes.] I also started doing the 400-meters hurdles and did well. So that’s why I got offers. Why did you switch to hurdling? Because I could win. I loved the 100-meters and I would have chosen to compete in that if I could, but there are many talented 100-meter runners, and short athletes like me are at a disadvantage. Hurdling, on the other hand, presented a good opportunity because there are fewer hurdlers than 100-meter sprinters, so I thought it would be easier to become the world champion. Skills also make a big difference in hurdling. You seem to have been quite calculating. Yes. (Laughs.) And to withdraw is considered evil. 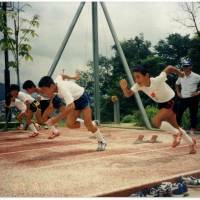 However, I realized my limit as a 100-meter sprinter — though I still had emotional attachments to the race. In Japan, racing over hurdles is, I’m afraid to say, still a relatively minor discipline. What do you see as its attractions, aside from its challenges and uniqueness? The attraction is that there are elements of the competition other than the speed of your sprints. It has room for strategizing. In the 400-meter races, first you sprint 45 meters, then you clear hurdles every 35 meters — until you get to the last 40-meter stretch in a straight line — when you sprint to the finish. There are 10 hurdles in total and I’d set out by covering the distance between each in 13 strides. But as I tired during the race, and my strides got shorter, I’d switch to 14 until, nearing the end, I’d switch to 15 as I got even more tired. Some runners would rather be consistent and stick to 15 strides, or even 13, between hurdles. Also, wind affects your stride. When you have a 2-meter-per-second wind blowing against you, each stride gets shorter by 2 or 3 cm. So, multiplying that by 13 strides between hurdles, for instance, and you’ll be 30 cm or 40 cm short of the next one. If you miss the target by more than 10 cm or so, you are likely to hit the bar and fall. So, during the race itself you need to be feeling the impact and the direction of the wind and adjusting your hurdling patterns accordingly. If you don’t plan like that, you end up realizing right before a hurdle that you are too far away and you need to make last-minute adjustments, which results in energy loss. These variables make hurdling interesting to me. You sound like a mechanic. That’s right. It’s like switching gears. There are many types of athletes, and it’s important for you to know yourself — what kind of bone structure and physical features you have. I think I was relatively good at assessing such things. Is having that sort of awareness why you have described many foreign hurdlers as being “intelligent, academic types”? Actually it’s not just hurdlers overseas who are like that. There were about four good hurdlers in Japan before me. Two of them became college professors after retiring, and another became a schoolteacher. So hurdlers tend to pursue academic careers afterward. Hurdling is a sport in which you can improve your performance through research. As you look back now since you retired from hurdling last year, what would you say is the most memorable moment of your athletics career? Well … I took bronze medals twice in the world championships — in Edmonton, Canada (in 2001) and Helsinki (in 2005). But I feel especially happy about the second medal because I had gone through a long slump after the first one. 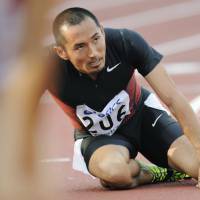 You call yourself the first “professional” track athlete in Japan. What do you mean by that? Yes I do. I’m the first pro as a track athlete, while marathon runner Yuko Arimori [Olympic silver medalist in Barcelona in 1992, and bronze medalist four years later in Atlanta] had been the first professional runner. It’s a concept that many overseas athletes say they can’t quite understand, but one condition for calling yourself a “pro” is not being employed (full-time) at a corporation (if you are, you are not strictly a pro because you can remain employed there after retiring from competition). Also, the Japan Olympic Committee used to manage the shōzō-ken (image rights) of Japan’s top athletes. Whenever they’d appear in TV commercials and so forth, all the payment would go to the JOC, which would then spend the money on its operations. It was fine in the old days, because there weren’t many star athletes who would get signed to TV commercials. 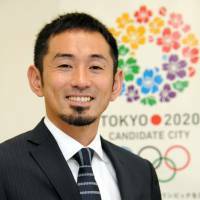 But that began to change in my generation of athletes, who, like (swimmer) Kosuke Kitajima and (judoka) Ryoko Tani, were directly contacted by companies looking to do such deals. Some athletes started arguing that their image rights belonged to themselves, because they didn’t get any reward at all for appearing in commercials. 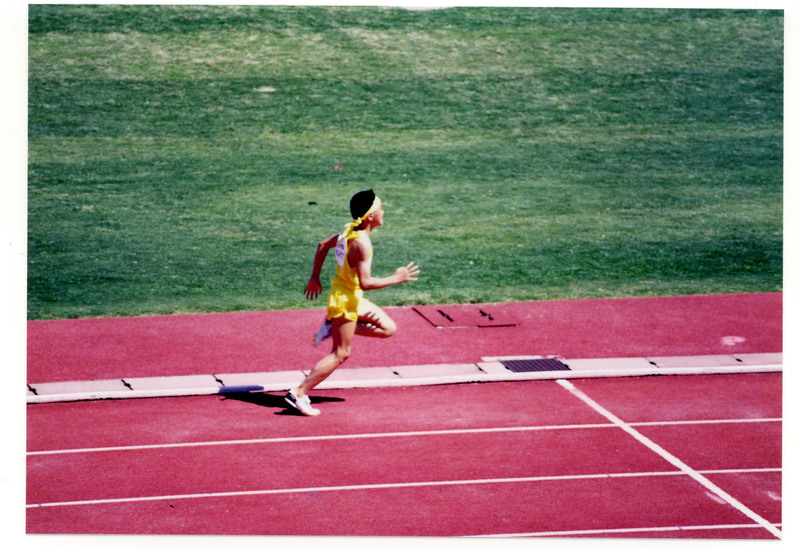 However, there was still a sense of taboo about bringing up that issue, but when I became the nation’s first “professional” track athlete, I did so in two respects: I managed to get my image rights back, and I declined to take a position with a company (to ensure my post-track employment). Let me ask you about your retirement last year. The decision to retire is a hard one for anyone, not just athletes. How did you arrive at that decision? 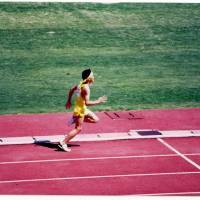 Toward the end of my career, I was not able to compete properly, let alone get results. Each athlete has a few important hurdles in their race, because every hurdle poses different challenges depending on whether they are in the corners or not. So if an athlete thinks the sixth bar is the key one, they will simulate the race by leaping the bars from the sixth one on — again and again. For me, the first hurdle was the most important. As I would slow down toward the end of the race, my strategy was based on knowing that the faster I was at the first bar, the better. But I could no longer leap the first bar the way I wanted to. I tried different ways but failed. Also, I couldn’t practice much due to injury. Do you have any regrets about the timing of your retirement? No. I felt very refreshed. I felt that I couldn’t do it even I tried to the best of my ability. I’d initially thought about retiring after the 2008 Beijing Olympics, but I felt that I could try a little more. If I had retired then, I would have had more second-career options, I think, because I was only 30 at that time. I was thinking about studying at a graduate school abroad. Was that a serious option for you? Yes. At 34, you can still try, but the scope of your options gets a little narrower as you grow older. 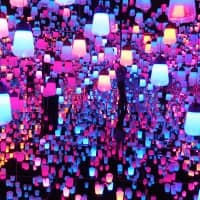 But as I weighed my options then, when I was 30 — whether to retire early to have a second career or whether to continue until I felt I’d done enough — I thought I would have regrets if I retired early. It made me think hard about what happiness means to me. So I didn’t do well in the last four years, but I felt, in the end, that I had no regrets at all. Many athletes struggle after retirement; I’ve heard stories of former professional baseball players working as salesmen at regular companies, and how many retired sumo wrestlers with no high-school education have had no option but to open chanko (sumo-wrestlers’ stew) restaurants. Why do you think this is the case? Athletes face the same problem all over the world, not just in Japan. The International Olympic Committee has a second-career assistance program in tieups with an employment agency. 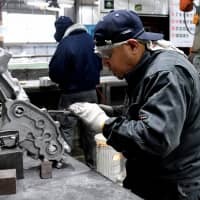 In Japan, though, they must also face a widespread belief in concepts such as ichii-senshin (devoting yourself heart and soul to one task) and that keizoku wa chikaranari we mentioned. So, if athletes switch to other competitive sports or start preparing for post-retirement, they are often criticized and told they are not working hard enough at the sport. As such, athletes — even though they may be somewhat worried about their post-retirement life — try not to think about it and instead just try to focus on their competitions. But most athletes have the financial need to find a job right away after they stop competing. That’s why many panic the moment they retire. Do you think the problem stems from the people surrounding athletes, rather than the athletes themselves? Well, in the United States I think there have been cases of Olympians participating in competitions while running their own companies. Such people, in Japan, would be frowned upon. 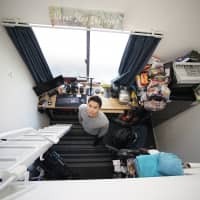 I think the tendency in Japan to frown on people who have dual careers or who plan for a second career need to change. It is often the athletes’ associations or the coaches who worry this will negatively affect their performance. But those officials or coaches don’t have to think about a post-retirement career. I want to change that for the athletes. How can you change the Japanese way? I think the key is to talk to coaches, rather than athletes, at the junior and senior school levels — because most athletes are under their control. Once athletes get to the collegiate and corporate levels, it’s very difficult for coaches there to change their mind-sets. Another way to help athletes is to create a place where they can go when they have a second-career problem, and where they can be introduced to corporations. I have been organizing (such meetings) every two months. What types of little-known skills do you think athletes have? Before answering that question, I want to point out that the most successful ex-athletes in Japan are those who retire at age 22 — because most people are employed fresh out of college in Japan. The longer you are in sports, the more distant you become from this standard career model, and the harder it gets to enter corporate life. So I want to challenge the corporate practice of hiring fresh college graduates only. Athletes experienced in team sports are good at teamwork and committing to teams. Track-and-field athletes, meanwhile, are sophisticated in the ways they set their goals and go about achieving them. These are all mental skills. I actually think they make good leaders. Some of them are so poor at handling day-to-day tasks that it’s better to put them in top-level positions, such as restaurant managers. I think they are good at seeing the big picture and making sure everyone shares the same goal. That’s interesting. I don’t think many businesses see such qualities in former athletes. Yes. It’s a problem on the part of us athletes, too. We often say sports bring us many qualities, but we don’t clearly define what exactly they are. In reality, for instance, what personal qualities you can get as an athlete differs between track and field and basketball. Also, in the case of fencing, because there are few coaches in Japan, most fencers must speak good English to continue competing. It’s the same for tennis players, too. I think parents may say that because of a recent barrage of scandals involving retired athletes. 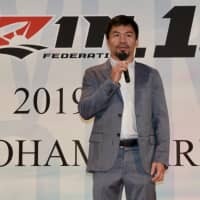 So establishing second careers for retired athletes is very important in order for the sports to be loved by children — and so survive in Japan. People in the world of sports need to think harder about that. Speaking of scandals, Japan has recently had a series of scandals involving corporal punishment. What cultural factors do you think are playing a part in this? I think coaches who use corporal punishment in sports tend to believe that people don’t act of their own will; that they act only in response to reward or punishment. So there is an idea that “you let your body learn the lesson.” It’s actually deep-seated thinking, and it has something to do with the katana (swordsmanship) culture. In America, for example, coaches try to change athletes’ behavior through persuasion. In Japan, kabuki actors are trained from the time they are infants, and are forced to perform routines without understanding their meanings, only to find, later in life, what the routines are for. Such cultural approaches are also present in sports, I think, and often extremely so. 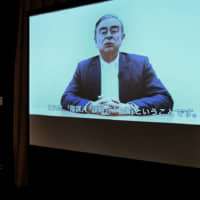 Some people say that recent scandals in the sports world in Japan could scupper Tokyo’s bid to host the 2020 Summer Olympics. 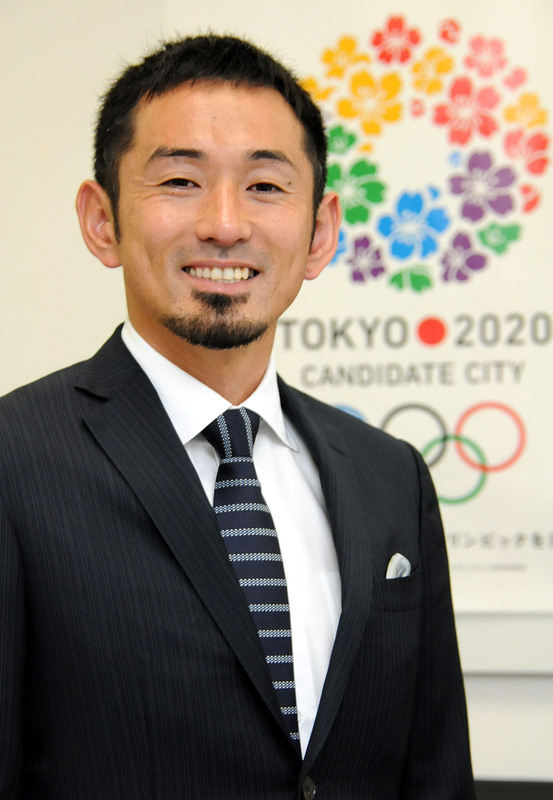 Others, meanwhile, oppose the idea of Tokyo hosting the Games, saying it’s a big waste of taxpayer money. What’s your stance on this? I’m all for hosting it. Even if I were not an athlete, I simply think it’s good to have a long-term goal and to get a positive momentum going. Also, on a personal level, bringing the Paralympics to Tokyo would help improve the city’s infrastructure. Do you mean that the city would become barrier-free? Yes. When Tokyo hosted the Olympics (in 1964), it resulted in various infrastructure improvements, such as the construction of the Tokyo Metropolitan Expressway and various shinkansen lines. I hope the next Olympics in Tokyo would present a model for the city’s infrastructure in this era of a rapidly graying society. The Olympics itself is a matsuri (festival), but the infrastructure built now would be used for the next 50 years or so. In 2060, a third of people in Japan will be senior citizens, and many of them will have one disability or another, and some will be wheelchair-users. Hosting the Paralympics would help us prepare for such a society. You are also known as an avid investor in the sphere of finance, and you have published a book on your investment experience. Are you still active in the markets? Well, I’m just about to start a business. I’m a director of a company named R. Project. There is a lot of unused real estate in Japan, including properties owned by municipal governments and corporations. I want to turn them around by refurbishing them as gasshuku (training camp) facilities for athletes. I guess I’d be investing in such projects. 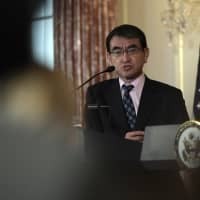 I also want to put up capital for business projects that utilize the wisdom of the sports world in coping with Japan’s aging society; diet and exercise are the only means we have to cut back on health-care costs. You obviously have very wide-ranging interests. You have also recently had two books published — including one about teaching kids how to run faster. Yes. Learning to run faster sounds daunting, but at the very least, I want to say that you can learn how to run faster than you did yesterday. You don’t have to be super-fast, but I want to teach tips that make people more confident about their running, without comparing themselves with others. Another thing is, I’m curious to see — if everyone becomes a faster runner in their own right — what impact that would have on other sports, such as soccer and baseball. So I think that’s one contribution track-and-field athletes can make to society. The other book looks to be in today’s popular “motivational” genre. What is your message? I think I have been a somewhat negative type, someone who has always viewed himself rather objectively. When I talk to junior athletes, most of them say they want to go to the Olympics. But probably only 1 in 100 top athletes will make the Olympics. It’s important to aim for that, but when someone realizes they can’t make it, there is little protection for them in Japan, I think. We are all unbalanced in our skills, and even if we are beaten at running we might excel at other things. I’ve always kept in mind the possibility of losing, or of getting used to losing. I’ve also analyzed what it means to lose. Winning or losing depends on your definition of victory. We have many trade-offs in life, so the key is to set the parameters of what constitutes a victory for you — and in order to achieve that, you can lose in some areas if you win in areas where you really want to win. I think that is important for making you feel happy. It’s the study of giving up. You are still 35. You have cleared many hurdles in life, but you still have a long way to go. What kind of challenges and objectives do you have from now on? I want to expand the concept of sports, or self-expression through sports. I’m also interested in using sports as a tool to solve problems in society. Table tennis championships, for example, were held in the lead-up to the normalization of ties between Japan and China in 1972. My chief ambition is to establish the role of Sports Peace Studies. The Olympics themselves are vehicles for peace, and retired athletes can be dispatched around the world as peace missionaries, I think. The athletes would get more respect that way, and it would help expand the roles of sports. Like how the U.S. basketball star Dennis Rodman went to North Korea recently? Right. (Laughs.) My wife, who studied dispute resolution studies at a graduate school in the United States, told me that the way to keep two countries from heading into war is to keep whatever (cultural) exchange you can between them intact. Her professor cited three things as crucial types of exchange: sports, art and science. Also, athletes can bypass normal (diplomatic) channels. (Judo champion) Yasuhiro Yamashita could meet Russian President Vladimir Putin, and (table-tennis player) Ai Fukuhara could meet China’s former President Hu Jintao. Such things really fascinate me. Dai Tamesue’s most recent books, which were both published in April, are “Tamesue-shiki Kakekko Method: Kodomo no Ashi wo Hayaku Suru” (“The Tamesue Method for Running: Making Children Run Faster,” [Fusosha]) and “Make wo Ikasu Gijutsu” (“Techniques to Make Use of Your Defeat,” [Asahi Shimbun Shuppan]).